Glasgow simply has too many fantastic eateries to pick favourites. And yet the Finnieston on Argyle Street cannot help but rate high up on our list. And just what sets this tasty treasure apart? Well, it’s charming, cosy – and the staff are both knowledgeable and attentive. It has the most delicious and wonderfully named gin cocktails. Where else can you happily have dinner with ‘the poet’, ‘the sailor’ and ‘the gentleman’ and no one fights? Importantly the food is absolutely out-of-this-world delicious. Even better, it’s served exactly the way you like it. Choose from a selection of fish and decide how you want it cooked – poached, grilled or pan-fried. Select your finish and accompanying sides. Perfection. 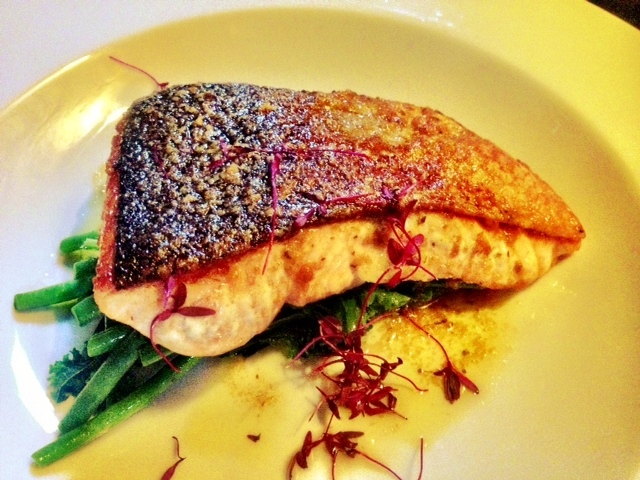 My pan-fried salmon in rosemary and smoked garlic butter is exceptional. 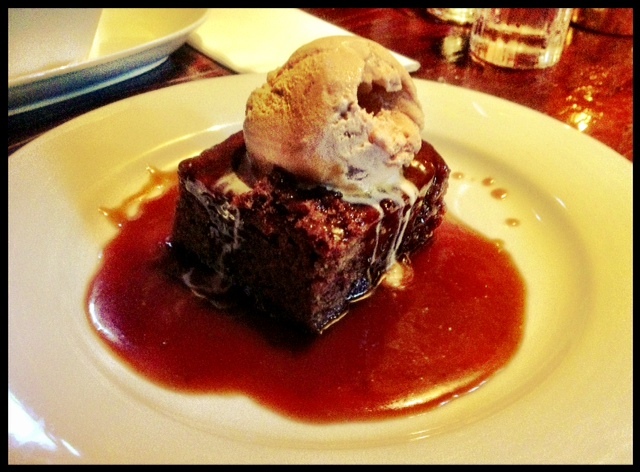 And no matter what, do save room for dessert because it is equally outstanding. Missing it would be a regrettable mistake. 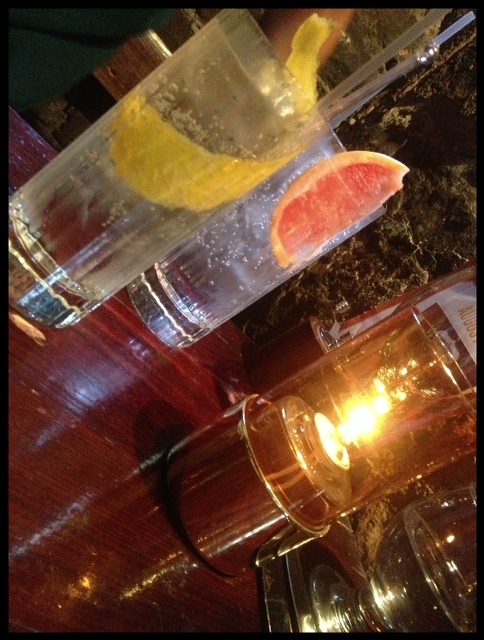 Like their evolving seasonal menu, their drinks are also updated regularly. So there’s reason to go back time and time and time again. We certainly will. Gin cocktails and seafood go together wonderfully. So go on, try out one of Glasgow’s finest. Get the booth by the fireplace, perfect for people watching and sipping delightful cocktails. This entry was posted in Glasgow restaurant and tagged eating in Glasgow, Glasgow food, Seafood. Bookmark the permalink.